Here is an interesting account of Hugh Mercer of Fredericksburg, Virginia. His last will and testament was probated in Jefferson County, Kentucky. He left his plantation to his wife, Isabella. He stated in the will that this was the plantation adjoining James Hunter which he purchased from General George Washington. 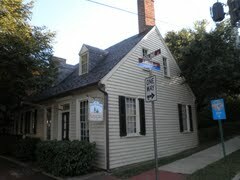 Pictured is the Hugh Mercer apothecary located on "Ferry Farm", the boyhood home of George Washington. 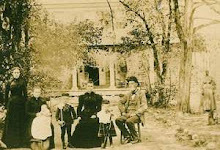 Special Bundle Deal to Genealogists during the month of April. Take advantage now. You get a subscription to 5 websites for one year - $100.00.